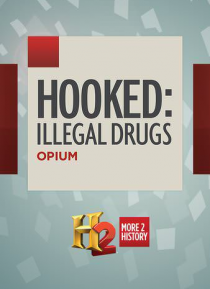 This special examines the historic poppy plant and three of its deadliest derivatives: opium, morphine, and heroin. In ancient times, the poppy was considered divine, often used in "magic." Its narcotics caused unprecedented national outrage. Opium alone sparked two wars between Britain and China, resulting in Hong Kong becoming a British colony. Although used by the upper classes as patent medici… nes to inspire creativity, heroin became the bane of society when the working class began to use it.